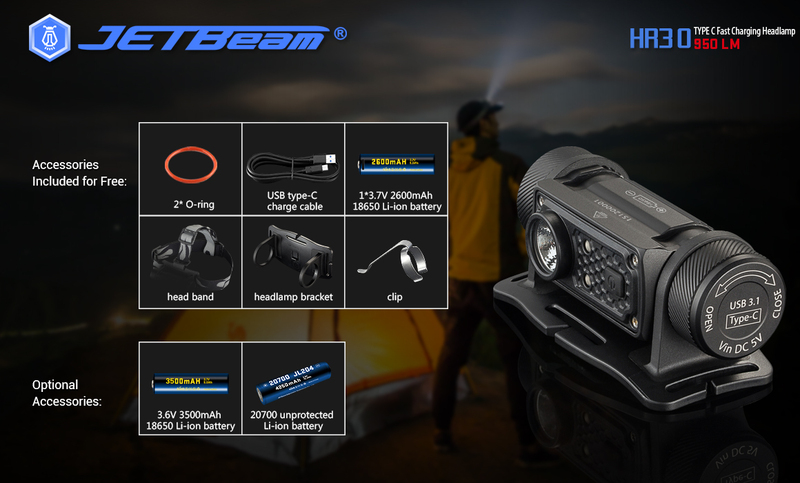 Jetbeam HR30 Headlamp with USB Type C Fast charging is official Released, News-JETBeam Electronic Technology Co.Ltd. Today, JETBeam have honour to Announce for JETBeam Flashlight fans and lovers from worldwide. HR30 Headlamp is Official released. 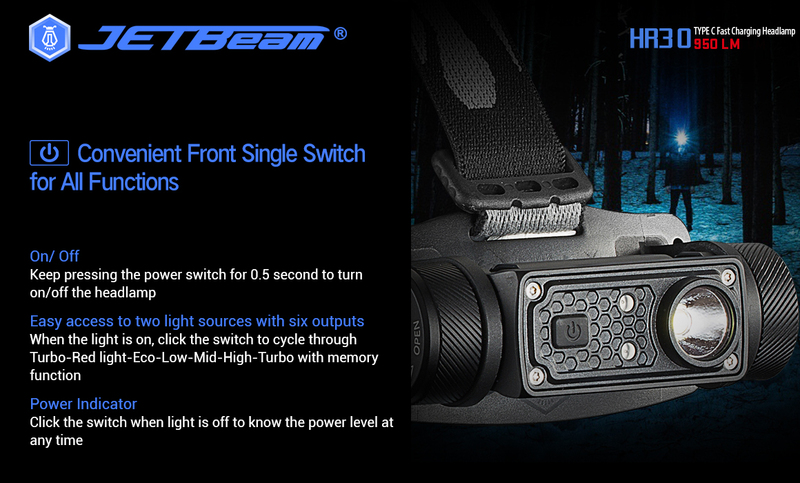 The Latest Jetbeam HR30 is a light-weight and high-performance unique headlamp for hiking, climbing, camping and construction operation. It features USB Type c Fast charging and versatile with a clip and tail magnet function. it is very easy to operate. Fitted with professional wide-range floodlight, plus red light and SOS. HR30 with excellent durability and resistance to impacts is used in kinds of complex hiking and camping environments. JETBeam will remain committed as usual to making our products with excellence in appearance and performance, to provide customers with better products and service.